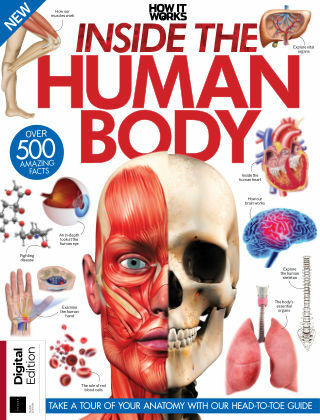 With Readly you can read How It Works - Inside the Human Body and thousands of other magazines on your tablet and smartphone. Get access to all with just one subscription. New releases and back issues – all included. Inside the Human Body takes you on a fascinating journey – starting at the very beginning, we explore how human beings came to exist and the ways in which our early ancestors evolved and adapted over hundreds of thousands of years. From here we get under the skin, taking an in-depth look at our most vital organs and body parts, from the complexity of the human brain to the structural support and strength offered by our muscles and skeleton. Working in tandem with modern medicine, our body does an amazing job of keeping us fit and healthy – we discover some of the body’s most common complaints as well as investigating what the future of medicine may look like. We even tackle the body’s weird and wonderful functions – exploring everything from why we laugh to the biology of a sneeze. This book will help you appreciate just how special you are and ensure you never take your body for granted again!